Informational books are sometimes called “nonfiction” books. Their main purpose is to provide a source of knowledge on a variety of topics. Informational texts are written at a variety of reading levels to accommodate diverse learners. Informational texts range from simple word and picture books to those that explain more complex science concepts with photographs and diagrams. There are informational books written for children on a variety of topics such as animals, plants, vehicles, families, jobs, interesting places, and the arts. How are informational books different from fiction books or “storybooks”? Informational books differ from “storybooks” because their primary purpose is to convey knowledge. “Storybooks” for young children are intended to be read from beginning to end. The primary purpose of “storybooks” is to share a narrative that describes characters and their actions. These books often have corresponding pictures for children to look at alongside the text. Informational books tend to have greater variety in their format. Some informational texts include a narrative that conveys information on a specific topic. These types of informational books are usually read from beginning to end, similar to storybooks. Other informational texts appear in different formats that are not intended for beginning to end reading. Some examples might be an annotated atlas (book of maps) with text boxes that highlight animals in various regions of the world or a book with photographs of various vehicles and short descriptions of their functions. Some books written for children cross over the divide between informational texts and what is typically thought of as a “storybook.” These books may include informational text alongside a story narrative or include a glossary section that provides background information about the topic of the text. For example, a story about the ocean might include a glossary that describes different types of sea life such as plants and marine mammals. Here are some suggested books of each type to get you started. What are some benefits of introducing young children to informational texts? Informational texts cover a wide variety of topics. Reading these books can provide opportunities to introduce children to new vocabulary, concepts, and topics. Some of these topics can be studied first hand by young children. Reading informational texts with children can also provide opportunities for children to find answers to their questions and deepen their knowledge about familiar topics. Other informational texts help children expand their knowledge beyond their first-hand experiences. For example, children in Illinois can learn about animals in Australia and Africa through an informational text even though they may not be able to visit those places. Young children may enjoy lifting flap books and listening to alphabet books and riddle books about a particular topic. These types of texts also can serve as sources of information. How should I choose informational books to share with children? Consider the age and developmental stage of the children. Board books with simple text and colorful photos are often the first informational texts for infants and toddlers. Preschoolers may seek informational books with simple text and corresponding pictures. However, all young children may be curious to browse through books with a higher reading level while looking at the pictures. Think about your curricular goals and choose informational books to support these goals. For example, you may want to have books about the human body because these books can provide opportunities to discuss healthy behaviors or books about birds that can inspire conversations about the birds you see on the playground. For more information about integrating informational books into your curriculum, see IEL’s Project Guides. Consider the current interests of the children. Reading informational books can provide opportunities to have rich conversations about what is going on in children’s everyday lives. For example, children may be interested in books about the weather following a snowstorm or about butterflies after finding a caterpillar in the grass. What strategies should I use when I introduce children to informational books? The best way to prepare to share informational books with young children is by reading the book yourself before introducing it to the class. Less time may be needed as you become more familiar with the format of informational books by a certain author or in a particular series. As you review the texts, consider which parts to read aloud to the children. Think about the types of questions that you might ask the children as you read the text together. Think about the types of questions the children may ask. Think about which pictures might capture their attention or invite curiosity. Create a browsing box with multiple books on a particular topic. Encourage the children to use these boxes to find out information about a particular topic. Look for books with varied illustrations. Choose some books with illustrations and some with photographs. Seek out books of multiple reading levels to appeal to children of different developmental levels. Include informational texts alongside storybooks with a common topic or setting. The informational texts will expand children’s knowledge and help them think about the narrative in the storybooks in ways that are more complex. Include informational books in places where you might typically use them. Put children’s cookbooks in a play kitchen. 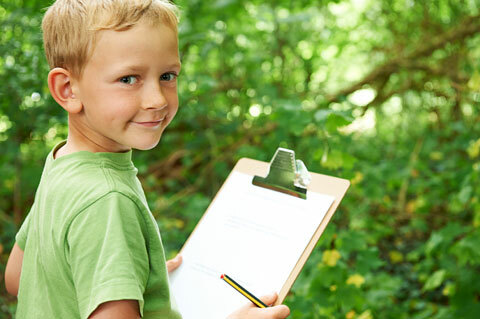 Keep a nature field guide near the playground or in a bag you take to the park. Encourage children to explore maps when traveling. Where can I find informational books for young children? Most informational books for young children are in the nonfiction section of the children’s department of your library. A librarian can help you find books on a particular topic. Remember, other sections of the library may also have informational texts worth sharing. You can use the appendices and glossaries that are part of picture or “storybooks” as a source of information. Children may enjoy looking through catalogs, magazines, and newspapers for photographs. Nature field guides, cookbooks, and art books from the adult section of the library may also interest young children. You may choose to read some of the text that accompanies the images or use the images to inspire conversation. We also suggest you explore IEL’s project guides, each of which contains a list of informational books on topics that are frequently studied in early childhood classrooms.